You may be surprised to learn that some of your favorite movies were made by filmmakers who come from Wisconsin. This list of groundbreaking movie-makers includes the men who made everything from untouchable classics and cult comedies to campy low-budget horror flicks. Grab some popcorn and check out the directors from America’s Dairyland. He’s considered one of the greatest directors of all time, and he made what many consider to be the greatest film of all time – Citizen Kane. George Orson Welles was born in Kenosha in 1915, but moved to Chicago as a child, when his parents separated. When he was 10, Orson ran away from home with one of the Watson’s daughters. They were found a week later singing and dancing for money in the streets of Milwaukee. In addition to directing films, Welles was also involved with the theater and radio. 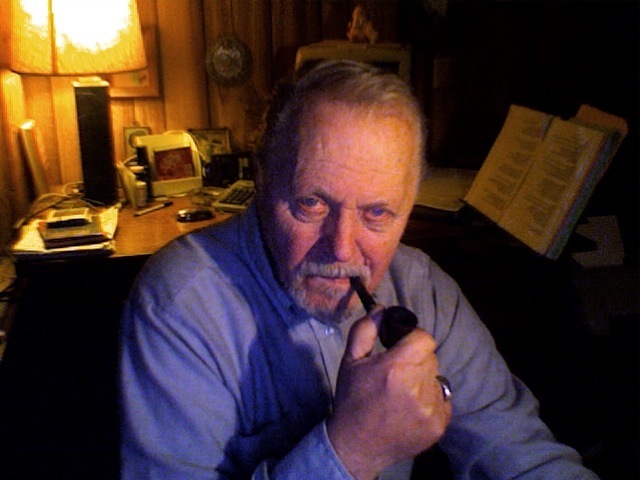 His radio adaptation of War of the Worlds for Mercury Theatre is what shot him to fame. Citizen Kane was Orson Welles’ first movie – and he also played the lead role of newspaper tycoon Charles Foster Kane. Over the course of his career as a director, Welles would make only 13 films. They include The Magnificent Ambersons, Touch of Evil, and The Stranger. While he wasn’t exactly raised in Wisconsin, you have to wonder if “Rosebud” **SPOILER ALERT** – Charles Foster Kane’s childhood snow sled – could have been inspired by a Wisconsin sledding experience Orson had as a young boy. Howard Hawks directed an impressive list of classic Hollywood films that crossed genres. That list includes screwball comedies like Bringing Up Baby, movie musicals like Gentlemen Prefer Blondes, and science fiction films like The Thing from Another World. He directed the original version of the gangster movie Scarface. Hawks also directed dramas, film noir (The Big Sleep) and Westerns (Rio Bravo). Hawks was nominated for an Academy Award for directing Sergeant York. And he was later awarded an honorary Oscar in 1975 for his contributions to film. Howard Hawks’ Wisconsin connection is the opposite of Orson Welles’. Hawks was born in Goshen, Indiana, but moved to Neenah, Wisconsin with his family in 1898 – when he was just two years-old. Hawks’ father was a paper manufacturer, and his family was at one time considered one of the wealthiest in the Midwest. Three Wisconsinites make up the third entry on this list. So – technically this list includes 16 Wisconsin filmmakers. Jerry Zucker, David Zucker and Jim Abrahams are perhaps best known for their work together as a comedy filmmaking team. These are the guys behind the classic Airplane! movies and The Naked Gun series starring Leslie Nielsen. Sometimes abbreviated as ZAZ – the trio is responsible for a lot of other cult comedies and silly spoofs. The Zucker brothers and Abrahams grew up in Shorewood, Wisconsin where they attended high school together. The friends later attended UW Madison together too. The three filmmakers went on to do solo directing projects following the success of their early movies. David Zucker brought us versions 3 and 4 of the Scary Movie franchise. Jim Abrahams directed the Hot Shots! movies. And Jerry Zucker has even done dramatic films like the classic romance, Ghost. It all started with one of the most ridiculous sketch comedy movies I’ve ever seen. Zucker, Abrahams and Zucker wrote the script for The Kentucky Fried Movie – directed by John Landis. It would seem these guys still have a soft spot for Wisconsin. Jerry and David Zucker have both directed their own commercials promoting tourism in the state. Now the brothers have teamed up for a third Wisconsin tourism spot featuring actors from Airplane! They’ve come full-circle – and now they’re spoofing themselves! 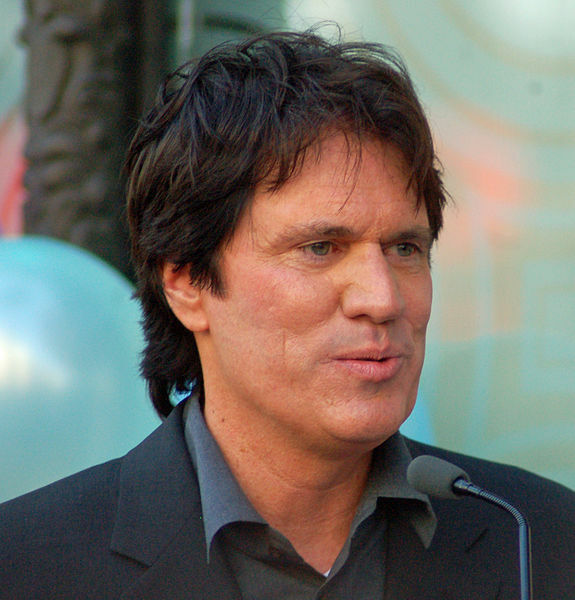 Rob Marshall was born in Madison, but grew up in Pittsburgh, Pennsylvania. His most notable work is the film adaptation of the musical Chicago – which won six Academy Awards including Best Picture in 2003. Marshall has done a lot of work on Broadway and has been nominated for six Tony Awards. He’s also the winner of four Emmy Awards. Marshall’s other films include the musical Nine another Broadway adaptation, the fourth installment of Pirates of the Caribbean and Memoirs of a Geisha. He’s currently working on a film adaptation of Stephen Sondheim’s Into the Woods for Disney. That movie hits theaters on Christmas of 2014. The birthplace of the director of some of the biggest and most-anticipated superhero movies happens to be Titletown, USA. Green Bay Geeks should be proud because Zack Snyder has taken on everything from remaking classic zombie movies (Dawn of the Dead 2004), to Frank Miller’s graphic novels (300) and comic book classics (Watchmen). 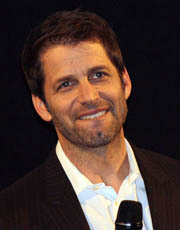 Snyder has also taken on the most iconic superhero of all – relaunching the Superman franchise with Man of Steel in 2013. Now he’s working on the sequel, which will pit Superman against Batman – with Ben Affleck playing the role of the Caped Crusader. Snyder says when he began his reboot of the Superman story – he wanted to start from scratch. Superman isn’t the only major superhero that got a makeover from a Wisconsin filmmaker. So did Marvel’s Spiderman. Director Marc Webb brought us a Tobey Maguire-less The Amazing Spiderman. The sequel is now being edited and the third installment has been announced with Webb attached to direct once again. Webb moved to Madison when he was just 18-months old, and graduated from Madison West High School in 1992. 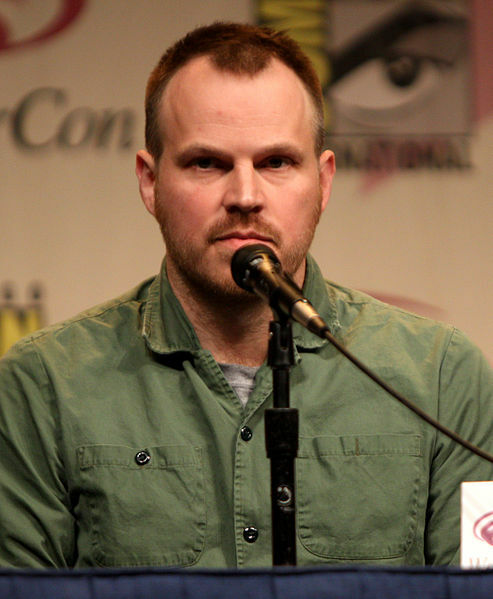 In addition to the latest Spiderman movies, Webb has worked on many music videos and documentaries with a variety of bands like My Chemical Romance and Green Day. His first feature-length film was the independent comedy-drama 500 Days of Summer with Joseph Gordon-Levitt and Zooey Deschanel. In contrast to superhero blockbusters, we go now to quirky independent flicks. Director Terry Zwigoff is known for movies with offbeat anti-heroes. Zwigoff began his life in Appleton before moving to Chicago and later San Francisco. That’s where he met another unique artist, cartoonist Robert Crumb. Zwigoff would direct a documentary based on Crumb and his family. Zwigoff’s first non-documentary film was an adaptation of the graphic novel Ghost World starring Thora Birch, Scarlett Johansson and Steve Buscemi. Zwigoff also co-wrote the script, which was nominated for an Academy Award. His most recognizable film is the 2003 dark comedy Bad Santa staring Billy Bob Thornton. Milwaukee native George Tillman Jr. got the itch to make movies after he saw the Martin Scorcese film Taxi Driver as well as Cooley High – a movie about black high school kids in Chicago. As a kid, Tillman would shoot footage for Milwaukee’s public access cable channel with an 8mm camera. That included a program called Spice of Life, which Tillman created while attending John Marshal High School. Tillman’s first feature film was Soul Food, which he also wrote. It centers around an 11-year old boy and his Chicago family. Tillman directed Men of Honor – a film about overcoming racism in the U.S. Navy starring Cuba Gooding Jr. and Robert De Niro. 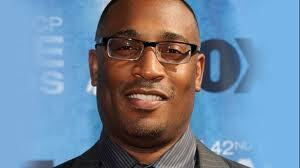 Another one of his directing credits is the biopic Notorious about the life and murder of rapper Notorious B.I.G. As a movie producer, Tillman helped create the Barbershop series of comedic films. Known for making satirical comedies, Michael Ritchie never gained the same fame and recognition other filmmakers of his time enjoyed. But he is still very respected as an auteur. 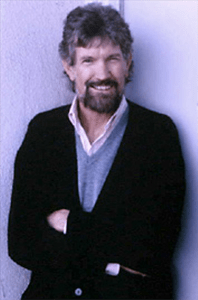 Ritchie was born in Waukesha, and later moved to Berkeley, California with his family before attending Harvard. One of his earliest works is The Candidate, starring Robert Redford. He was the director of the two Fletch movies with comedian Chevy Chase. He also directed Eddie Murphy in The Golden Child. But perhaps his most memorable movie is 1976’s The Bad News Bears with Walter Matthau. Ritchie also directed the football comedy Wildcats with Goldie Hawn. Ritchie died of prostate cancer in 2001. Nicholas Ray is best known for directing the classic teenage drama Rebel Without a Cause starring James Dean and Natalie Wood. Ray himself was a bit of rebel. His older sister lived in Chicago, and he spent much of his youth hanging out in the Al Capone-era nightclub scene. Later in life, trouble with drugs and alcohol would become so much of a problem for Ray that he was essentially shut-out of the movie-making scene. Among his many movies, are the biblical epic King of Kings as well as Johnny Guitar and The True Story of Jesse James. Nicholas Ray was high school pals with another Wisconsin filmmaker – Joseph Losey. Losey was always very politically active. 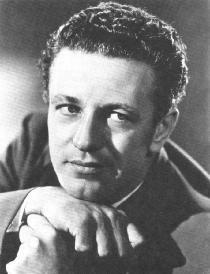 His association with the Communist Party eventually got him blacklisted from Hollywood, and he sought exile in Great Britain where he could continue to work under the pseudonym Joseph Walton. Losey’s first notable film was a political commentary on war called The Boy With Green Hair, which featured Wisconsin actor Pat O’Brien. 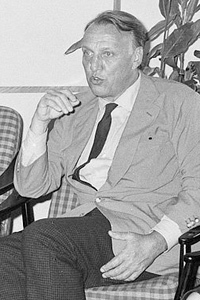 While Losey never returned to make movies in America, he says he did not felt bitter about being blacklisted. Low-budget director Bill Rebane emigrated to the United States from Estonia as a teenager in 1956. He learned English by watching American cinema, and eventually decided to pursue movie-making as his career. Rebane has definitely made a name for himself in Wisconsin. He created the Wisconsin Film Office and ran for governor of the state twice as a Reform Party Candidate. His most well-known work is The Giant Spider Invasion, which is about the town of Merrill, Wisconsin being attacked by alien tarantulas. The film famously features a giant spider that was actually a fur-covered VW Beetle. It was operated in reverse with the taillights serving as the spider’s glowing, red eyes. The Giant Spider Invasion cost just $325,000 to make, but it grossed $23-million at the box office. That made it one of the most successful films of 1975. Rebane once owned and operated farm land he called The Shooting Ranch in Gleason, Wisconsin. It was the fist, full-time feature film studio in the Midwest. In addition to movies, The Shooting Ranch was used for commercials and corporate videos. According to Rebane’s website, the director is apparently working on a musical adaptation of The Giant Spider Invasion. Both that film and Rebane’s first feature, Moster a Go Go were used on “Mystery Science Theater 3000,” a show created by Wisconsin native Joel Hodgson. Following in the low-budget horror tradition of Bill Rebane is Milwaukee’s Leigh Scott. Scott had the best possible training in B-movie greatness. He worked for Concorde Pictures with the legendary Roger Corman – prolific director of such campy classics as The Little Shop of Horrors, Death Race 2000 and Last Woman on Earth. 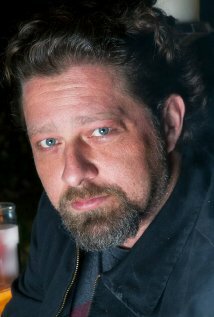 Like his mentor, most of Leigh Scott’s work has been in the exploitation/horror genre of filmmaking. Scott has even done a film centered on a Wisconsin werewolf story – Beast of Bray Road. Scott also takes on more serious, political projects. He’s a self-described Libertarian who wrote and directed the 2006 drama The 9/11 Commission Report. He contributes to Breitbart.com, and Rush Limbaugh, The New Yorker and The NY Times have all mentioned Scott’s columns. Mark Borchardt is a filmmaker who rose to fame because of a film made about him trying to make a film. That film was the 1999 documentary American Movie from producers Chris Smith and Sarah Price. It follows Borchardt as he tries to produce and direct his own horror project called Coven. American Movie won the Grand Jury Prize at the Sundance Film Festival. After the documentary came out, Borchardt used his fame to pursue acting rather than more filmmaking. He was a regular on The Late Show with David Letterman during the 2000 presidential election. He’s also had numerous roles in other horror and low-budget movies. Mark could be staging a filmmaking comeback. A project called Scare Me, which he started in 2004, is apparently set for release in April of 2014 (according to IMDB). Wondering about actors who’ve come from Wisconsin – be sure to check out our popular post 40 Famous People From Wisconsin. Of course, there are many other folks in the movie business who come from our state. David Koepp – one of the most successful screenwriters of all-time – is from Pewaukee. There’s also screenwriter/director/producer/actor Pete Schwaba of Marinette who made the Wisconsin comedy The Godfather of Green Bay. And you have to wonder when comedy genius Dan Harmon, creator of NBC’s Community, will take a shot at directing his own movie. Do you know anyone in the movie business from Wisconsin? Did we miss any famous Wisconsin directors? Tell us what and who you know in the comments below! Like this article? 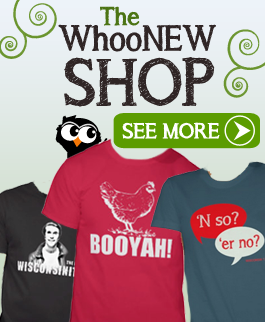 Like WhooNEW on Facebook for more Wisconsin fun! 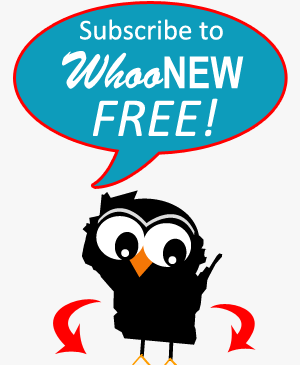 You can also subscribe by email for free in the sidebar above. I knew about Zack Snyder. (It’s so cool seeing the DVD extras for 300 with him directing in his Packer jacket.) (Can’t wait for the sequel this weekend, though Snyder only wrote it, didn’t direct.) I vaguely remember Orson Welles being from WI. But I had no idea the Zuckers and Abraham were from here! Airplane!, Top Secret, and Top Gun were sleepover staples when I was a kid. We loved quoting those movies. Classics–they’ll never get old and they’ll never be unfunny. Loved the WI ad. Glad you learned something cool from the article, Lynne. Thanks for reading and commenting! You should look for the other spots the Zucker Bros. did. One features Jordy Nelson, and the other has a symphony in a snowball fight. 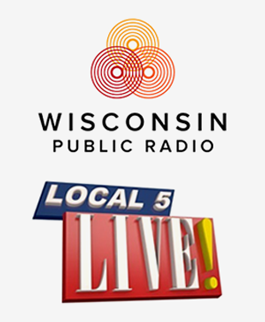 And a very notable segment on this article on Local 5 Live today! You’ve got to have an exploratory movie night with us sometime. You forgot one of my favorites. Rusty Lemorande is from Oconto Falls. Class of 82 I believe. Cool! Did not know that. Thanks Adam. you missed Glenn Aveni – Executive Producer of Les Paul Chasing Sound (PBS American Masters – winner ASCAP Deems Taylor Award, 1 Emmy nomination) and BHUTTO (in doc competition at Sundance Film Festival, 2 Emmy nominations and winner of Peabody Award. Also, Directed John Entwistle: An Ox’s Tale and Million Dollar Auctions (HULU).